New management goals on coastal bird nesting and resting islands have helped balance birds' needs with traditional recreational uses of these popular boating destinations. For Chris Crolley and the guides that run his Coastal Expeditions enterprise, a local sea-kayak outfitter, it's always been about the birds. During the winter months, Crolley's team paddles to Crab Bank, a sanctuary island at the mouth of Shem Creek in the Charleston Harbor, to sweep the sandy beach of accumulated trash and debris before the nesting seabirds' return in the spring. "It's one of our stewardship commitments we pride ourselves upon," Crolley explains. 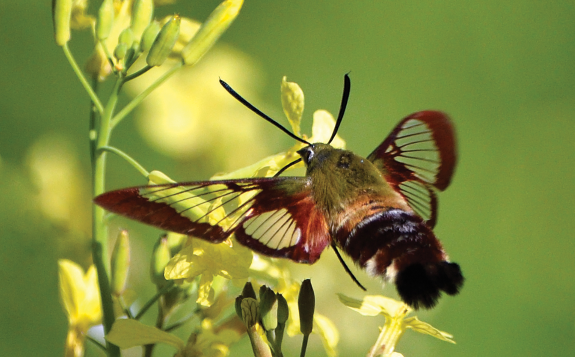 "It not only benefits the increasing numbers of nesting birds using the area but also affords our well-versed naturalists the opportunity to offer amazing departure points." The setting eloquently showcases brown pelicans diving after schools of menhaden like firecrackers on the water. From every direction the cacophonous music of black skimmers and terns can be heard. And with the number of seabirds and shorebirds that flock to these special barrier islands on the rise, the birds' story is indeed a great one to tell. 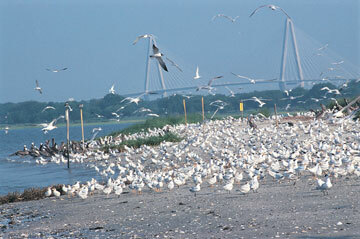 Currently, five ephemeral islands along coastal South Carolina offer ideal habitat for the birds, and they have sought and subsequently found refuge and respite on them. The dynamic islands answer many of the birds' basic requirements - fundamental needs for resting, nesting or roosting. These particular low-profile islands, surrounded by water, provide protection from predators and other disturbances that deter the seabirds from using similar habitats along the mainland. 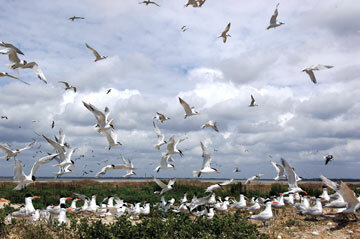 Seabirds look for suitable areas where they can nest above the high-tide line in large groups, or colonies. 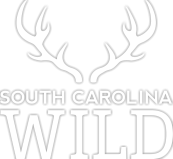 Significant numbers of migratory shorebirds also venture to these areas in South Carolina, as either an over-wintering destination or a resourceful sojourn on a trek farther south. Most shorebird nesting takes place in the Arctic; however, South Carolina is home to three nesting shorebirds: American oystercatcher, willet and Wilson's plover. 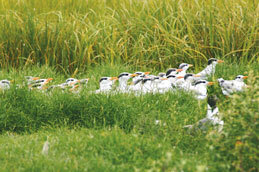 As seabird nesting has steadily declined over the past fifteen years, biologists with the S.C. Department of Natural Resources and various conservation groups, particularly Audubon South Carolina, have responded to the birds' plight and recommended considerable regulatory changes to three of South Carolina's five nesting islands, which were already properties managed by the state. 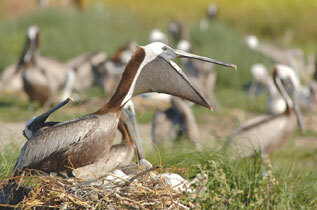 The decline of brown pelican and royal tern nesting brought awareness that seabirds were in trouble in South Carolina. Reports hinted at declining food sources, loss of habitat and unintentional, yet detrimental, disturbances associated with humans and dogs as possible causes of the stumbling nesting numbers. "In 2004, Audubon South Carolina designated Crab Bank, Deveaux Bank and Bird Key-Stono, three of the seabird nesting islands, as Important Bird Areas, establishing top priorities for Audubon's conservation efforts in the state," says Jeff Mollenhauer, Audubon director of bird conservation. This designation served as one of the notable precursors to the regulatory changes on these areas that went into effect a year later. 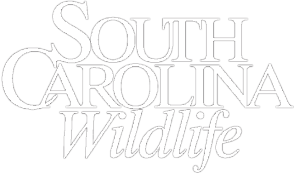 In 2005, 16-acre Crab Bank, 35-acre Bird Key-Stono and 215-acre Deveaux Bank received sanctuary demarcation, establishing greater protective laws for the birds, especially during the nesting season. Since the designation, Crab Bank and Bird Key-Stono are closed to boat landings and public access during the height of nesting season, March 15 through October 15. The area below the high-tide line is open and accessible the remainder of the year. Deveaux Bank remains closed year-round above the high-tide line, with the exception of a specifically designated recreational area. Dogs are no longer allowed to roam the islands. The birds have responded favorably to their increased protection, and while some influxes in populations have been recorded, nesting numbers continue to be monitored closely. Two additional rookeries, Marsh Island, managed by the U.S. 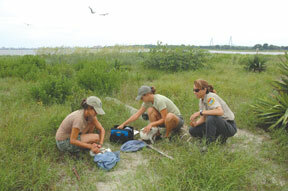 Fish and Wildlife Service in Cape Romain National Wildlife Refuge, and Tomkins Island, managed by the U.S. Army Corps of Engineers at the mouth of the Savannah River, have witnessed similar successes for the shorebirds and nesting seabirds. In particular, Tomkins Island, a 5-acre island built in 2005 specifically for seabird nesting, has since become host to a plethora of nesting seabirds. Tom Murphy, a wildlife biologist with the DNR says, "The rookery is in incredible shape. 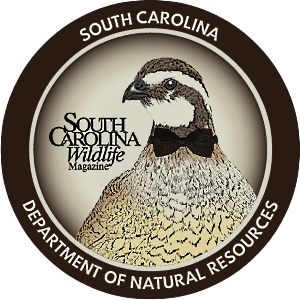 The immediate response of the birds nesting and visiting this island since its creation strongly suggests that they need and depend on these important areas to be able to thrive in South Carolina." 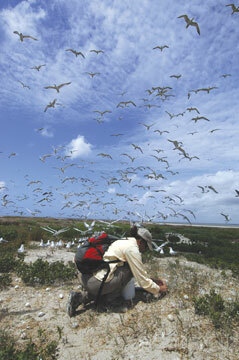 During the 2007 surveys, more than 7,300 pairs of birds were counted on Tomkins Island. Along with the hard work of many supportive groups to get the sanctuary designation in place for three of the islands, the work of wildlife biologists with the DNR to manage the areas and support important research efforts to help understand complexities of the birds is well under way. DNR biologists Felicia Sanders and Mark Spinks coordinate the management of the seabird sanctuaries. They lead counts of seabirds, post signs marking boundaries during the nesting season, assist with graduate research and color-band particular species so that individual birds can be monitored. "The surveys consist of transecting the islands to conduct counts on brown pelicans, least terns, royal terns, Sandwich terns, common terns, black skimmers and gull-billed terns," Sanders says. Their frequent visits offer glimpses of short-term milestones that have been achieved. Sanders and others counted more than 1,200 royal tern nests on Crab Bank in 2007, an area that housed a few more than 300 nests only two years before. They counted 65 black skimmer nests during the 2007 nesting season on Bird Key-Stono, a dramatic flourish from the couple of years prior, when no nesting occurred. To date, 68 percent of all black skimmers nesting in South Carolina are doing so on Crab Bank. Sanders recalls, "During one of my recent trips to Crab Bank, I saw two fishing guides slow down for their clients so they could snap photos of the black skimmers inhabiting the island. Even if you're not into the birds, it is amazing to see." As further testimony to the cooperative devotion to protecting the birds on the sanctuary islands, the DNR has enlisted support from graduate field researchers to assess different aspects of the birds and impacts associated with regulations. College of Charleston graduate work, partially funded by Audubon South Carolina, is researching migration patterns and causes of mortality by focusing on the band-recoveries of brown pelicans and royal terns. Lisa Ferguson, a Ph.D. candidate working with Dr. Pat Jodice in Clemson University's Foresty and Natural Resources Department, has developed an intensive research design to investigate the birds' response to the new sanctuary regulations. She anticipates her results will assist with future management decisions about the islands. "Rewards are there to be seen," she comments about her work with the birds. Ferguson observes the intertidal area of the beach throughout the breeding season and conducts bird surveys to document species diversity, age, location and seasonal fluctuations. Additionally, she monitors black skimmer reproductive success. Their nesting has also benefitted from the sanctuary designation. On Crab Bank, in particular, she has recorded black skimmers nesting and chicks fledging on those choice sandy areas that were once popular landing spots for boaters. Ferguson reflects, "The impact these changes have had on the birds is right there for all to observe - a bird sanctuary - just like a big advertisement." Changing the way these barrier islands are managed during the breeding season has helped the plight of nesting seabirds and shorebirds in South Carolina. Establishing the sanctuary designation has been a remarkable step in the right direction for the birds and a success story everyone can applaud. Anna Martin is the public information coordinator for the DNR's Marine Resources Division in Charleston.